A captain hat is a great hat for any of your favorite ship captains or man of the sea costumes. In case you attend boat or sea themed parties, this is one of the essential accessories that you should wear. 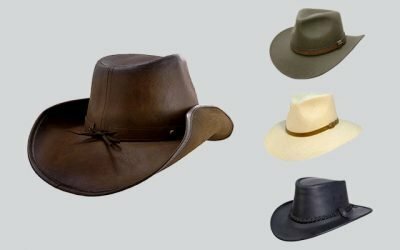 There are several things that you need to consider in choosing a captain hat including the size, the material as well as the details on the hat. While you might use this hat for a certain time only, it is worth checking the hat carefully before you buy to make sure you make the most informed decision. In case you are looking for a captain hat for your next Halloween party or any other themed parties, you have come to the right place. 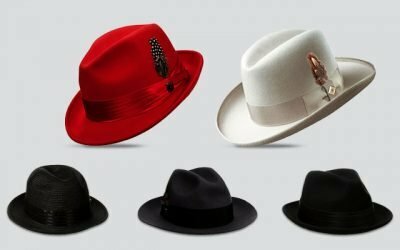 Let’s scroll down for our ultimate reviews of the best captain hats that you can find on the market in 2018. Its Main Features: This boat captain hat is made of 100 % of cotton. It is available in white with yellow “scrambled eggs” details on the bill of the hat. On the crown of the hat, you can see a black patch, which has keen anchors stitched in a canary yellow to contrast the color black. The hatband of this hat comes with a gold knotted strap adorning the front and gold buttons. The width of the bill is 2.25 inches. This captain hat is made of the premium cotton which is soft and smooth to the touch. 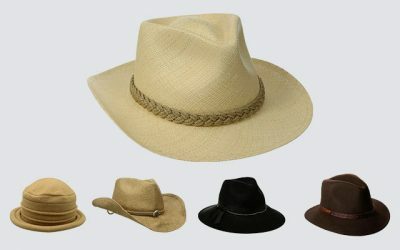 The hatband of this hat is also made of the premium cotton material. 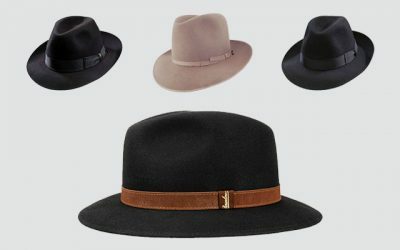 These parts of the hat make sure the hat is lightweight and more breathable. Besides the premium quality, this hat is well made with a great craftsmanship and excellent attention to detail. For instance, the bill is pre-curved for a firm and solid construction. The yellow leaves patch detail which is embroidered on the bill nicely and evenly with no loose threads. Another thing that I love about this hat is that the patch is not only created nicely, it is also sewn tightly on the hat. Therefore, it seems not to easily become loose. While this hat is available in 1 size, it has a plastic snap back adjustment for you to easily and quickly adjust the fit of the hat to make sure you have the utmost comfort when wearing the hat. 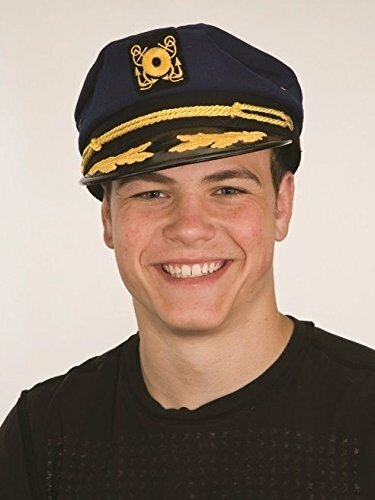 Go for this hat if you are looking for a traditional looking captain hat on the market. Its Main Features: This yacht captain hat features the iconic features of a quintessential yacht captain’s cap with its lifesaver emblem patch and scramble eggs stitching on the peak of the hat. This hat is made of 100 % of cotton for the crown and 100 % of rayon for the visor. The height of the crown is 3 inches while the length of the bill is 2.25 inches. It is available in 1 size that can fit up to size XL. There are many things that make the hat one of the best captain hats for men that you can find on the market. First of all, the hat is made of the premium material. The cotton material makes the hat soft, thin, and lightweight. In addition, with 4 ventilation eyelets and the breathable cotton material, this hat is well ventilated and is capable of wicking moisture away as well as keeping your head cool all of the time. Second of all, the bill of this captain is created with a firm and sturdy construction. The bill of this captain hat comes pre-curved with the yellow emblem glued on the bill. The emblem is also well made with no loose threads. Although this captain hat is available in 1 size, it has an adjustable snap closure which allows you to easily adjust the hat to have the best fit. And thanks to the high quality materials and solid construction, you can wash this hat by hand in warm water. Its Main Features: Here comes a sailor captain hat with a different style. 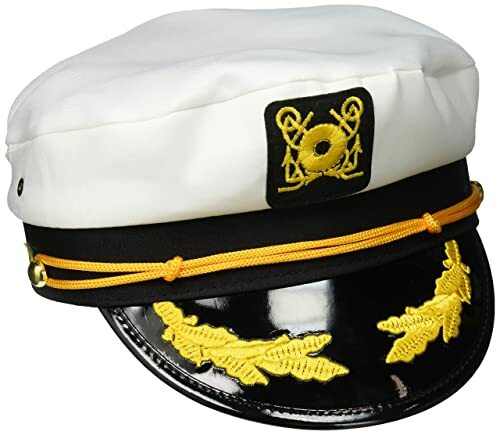 This captain hat is made of 35 % of cotton and 65 % of polyester. 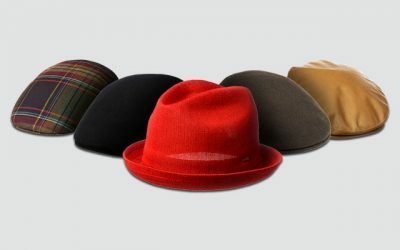 This hat is available in 1 size which can fit head’s circumference of up to 23 inches. This hat features the design of a classic baseball cap with a high profile 6-panel construction. There is the word “Captain” embroidered on the front of the crown. The word is yellow while the body of the hat is in navy color. The height of the crown is 3.5 inches. The bill is pre-curved and stiff. This hat has an inner hatband which is also made of 65 % of polyester and 35 % of cotton. Thanks to the high quality materials which are used to make the hatband, the sweatband is soft and comfortable to wear. It helps to prevent your forehead from rubbing against the body of the hat, which in turn, prevent any irritation. Moreover, this sweatband is capable of wicking moisture away and keeping your head cool all of the time. Not to mention that the body of this hat is made of the premium and breathable cotton blend. Along with the sweatband and the 6 ventilation eyelets, this hat is what you need to keep your head cool in the summer. Thanks to the tough materials and solid construction, this hat is very easy to take care of. You can enjoy washing this hat either by hand or with the washing machine. It also holds its shape well regardless of how you intend to store the hat. While the brim is stiff, you can slightly curve the brim to make it more curved or more flatten, depending on the style that you want with this hat. Its Main Features: This captain embroidered cap is made of 100 % of cotton on the crown. The bill is made of 100 % of plastic while the headband of the hat is made of vinyl. This hat is available in 1 size with a plastic adjustable snapback closure which can fit head’s circumferences of up to 23 inches. It features a navy hat with yellow and black details. This captain hat has a blue peaked top, a black stiff brim with leaf embroidery, embroidered gold anchor patch and yellow rope-cord trimming the front crown between a pair of decorative gold button- all of the features that you would find in a high quality classic and traditional captain embroidery cap. This captain hat is made of the premium cotton material which makes the hat soft with a luxurious feel. Thanks to the vinyl headband, it is more lightweight and comfortable to wear the hat in a hot summer day. You can also easily fold the hat and pack it along with you when you go travelling. Moreover, all of the details on the hat, including the buttons and the anchor patch are securely sewn onto the hat with an excellent craftsmanship so that they can stick with no loose threads. While the hat is available in 1 size, the headband is highly adjustable. In addition, you have the snapback closure at the back to easily find a snug fit with this hat. You don’t have to worry that the hat will be blown away in case of a high wind at sea. 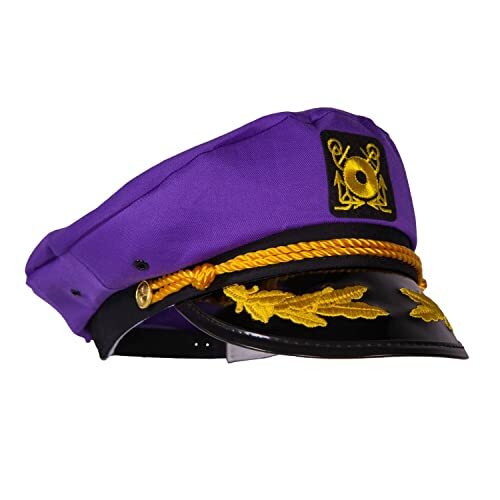 Its Main Features: This captain hat for men is made of 100 % of cotton. There are 4 choices of colors including purple, neon yellow, neon pink, and neon blue for you to choose from. It is available in 1 size which can fit head’s circumference of up to 23 inches. It features the classic nautical captain hat including the gold anchor patch, the gold buttons, and the yellow rope-cord trimming details. The top part of the crown is quite thin. 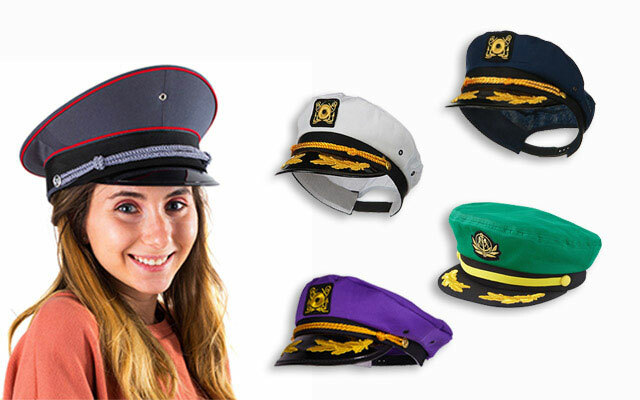 It is relatively thinner than other types of captain hats that you can find on the market. 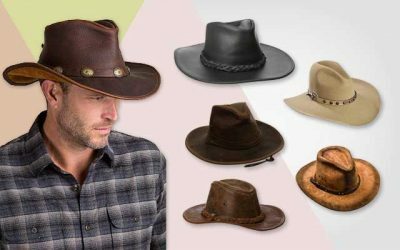 While the thin fabric of the top crown makes the hat lightweight, breathable, and more comfortable to wear, wrinkles and creases can appear easily on the hat, especially after you fold the hat and pack it into your small bag to bring along with you when you go travelling. The construction of this hat is not its strength as well. The black crown and the bottom of the brim is detached from the inner structure of the brim, making them quite loose. Nevertheless, this hat is made of the premium quality which is soft and breathable. Moreover, this hat is available in various choices of colors. These colors are all bright and vivid. They are also fade resistant so that they surely remain their shades well long after you wear this hat. 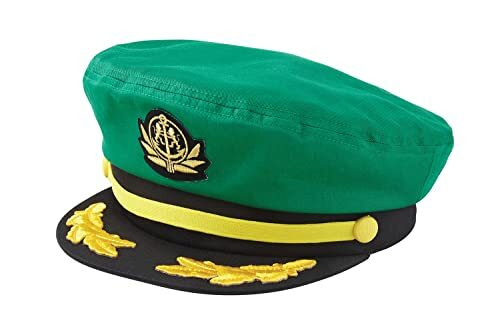 In case you are looking for a yacht captain hat with the outstanding and unique colors that you can hardly find in any other captain hats on the market, check out this hat. It is ideal for a costume hat that you can wear in a special occasion rather than everyday wear. Its Main Features: This boat captain hat is made of 100 % of cotton. This hat features the classic nautical captain patterns including the gold colored nautical emblem and the golden rope with sewn on the front and the center of this captain hat. This hat is available in 1 size which fits most thanks to an adjustable plastic snap closure. It can fit head’s circumferences of up to 22 inches. The width of the bill is 3 inches. 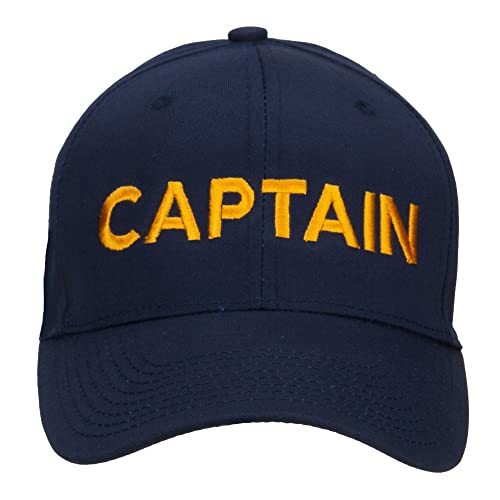 Like other high quality captain hats which are made from high quality cotton material, this hat is soft, lightweight, breathable and skin-friendly. The fabric is quite thick for a firmer construction but the hat is still well ventilated and comfortable to wear even in the hottest summer days. The visor of this captain hat is longer than other visors of most of the captain hats that you can find on the market. With the long visor and the thick fabric, this captain hat can effectively block the direct sunlight and prevent the harmful elements such as UVAs and UVBs from getting onto your face. With the solid black color and the traditional and classic pattern, this hat would go well with other nautical themed clothes that you have in your wardrobe. The colors of the details on the hat are quite rich as well, especially the gold rope detailing and the embroidered gold badges. These yellow colors are shiny and fade resistant that makes the hat look new and shiny for a long time. Its Main Features: This classic yacht is made of 100 % of cotton for the crown and 100% of plastic for the strap. It features the classic front mariner emblem with golden leaves embroidered on the brim and two side buttons. There are 8 options of colors for your consideration such as shamrock, blue, canary and the traditional black or white. This hat is available in 1 size with a snap back closure. This sailor captain hat is made with the high quality material. The cotton crown is soft and comfortable to wear. Not to mention that it is breathable. And along with the ventilation eyelets, you will surely feel your head cool and dry even when you have to wear this hat for a long time. While this hat is available in 1 size, it has a snap back closure which helps you to have the snuggest fit with this hat. Also, the inner headband of this hat is highly adjustable to help the hat hug your head nicely and comfortably. Last but not least, this hat is available in a wide range of colors for you to choose from. You can choose the classic colors including black or white. Or you can make it more fun by choosing these other colors which are brighter and more colorful. These colors are all sharp and vivid for an expensive look. 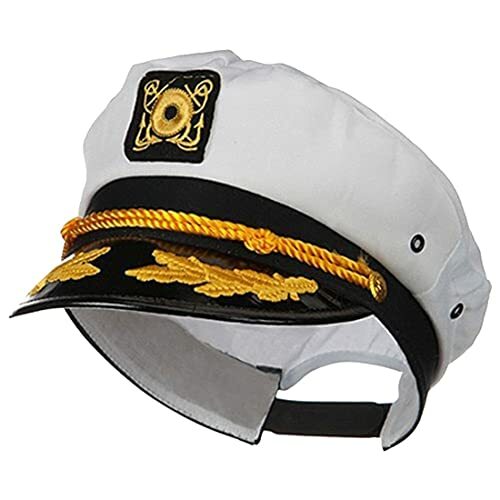 Its Main Features: This captain hat for men is made of 100 % of cotton with a plastic visor. It is available in 1 size that can fit head’s circumferences of up to 23 inches. It features the design of a blue captain hat with red lining details and a white braided rope. There are many things that you would love about this hat. First of all, it is made of the most premium quality material that you can find. 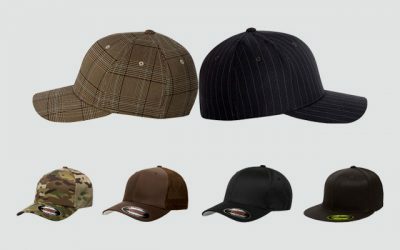 The material not only makes the hat soft, lightweight and comfortable to wear, it is also durable and long lasting. 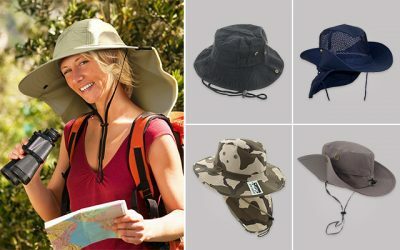 It is easy to fold the hat and pack it in small bag to bring along with you when you go travelling. When you take that hat out, creases and marks would hardly appear on the hat. Moreover, this hat is made with a great attention to detail for a firm and solid construction. All of the parts of the hat are sewn nicely with firm and sturdy stitching lines. Thanks to the tough material and the solid construction of the hat, you can easily wash this hat in cold water. 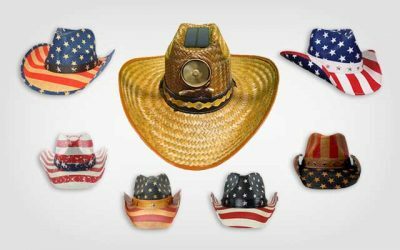 With the premium quality and expensive look of this hat, you can wear it along with your Halloween costume as a military officer, a cop, or a water hero. You can also wear this hat to any dress up occasion as well. Its Main Features: This captain hat is made of 100 % cotton for the crown while the rope is made of 100 % of faux leather. The width of the ill is 3 inches. 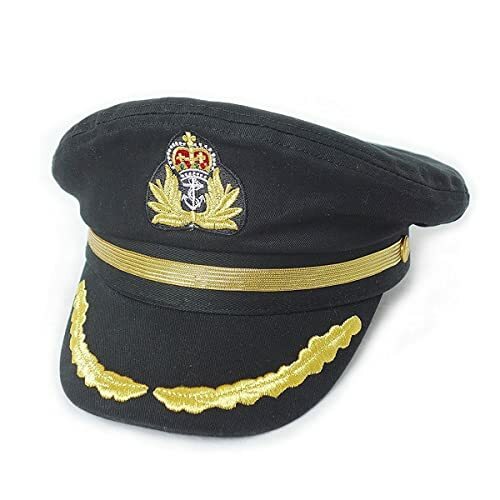 This yacht captain hat features the iconic features including the patch and the gold braid. While this hat is available in 1 size, it comes with a headband which is adjustable to bring you a comfortable fit with this hat. Moreover, the hat comes with a headband and crown which is quite stretchy for you to have a good fit with this hat. Your head will not feel any pressure even though you have to wear it for a long time. Thanks to the ventilation eyelets on this captain hat, the hat adds more breathability to keep your head cool and dry. 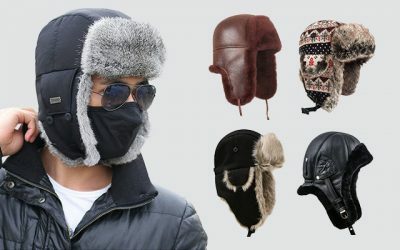 Also, the cotton material of the hat makes it more breathable and comfortable for you to wear the hat for a long time. The inner headband of this hat is capable of wicking moisture away, preventing your forehead from rubbing against the hat, and avoiding hat hair. The plastic visor, on the other hand, is quite prone to scratches and matches. But it is quite lightweight and helps the hat to hold the shape of the visor quite well. Last but not least, this hat is made with great details as well. The rope is made from high quality faux leather for an expensive look. The iconic patch is sewn nicely and firmly onto the hat. Its Main Features: The crown of this hat is made of 100 % of polyester while the visor of this hat is made of 100 % of plastic. 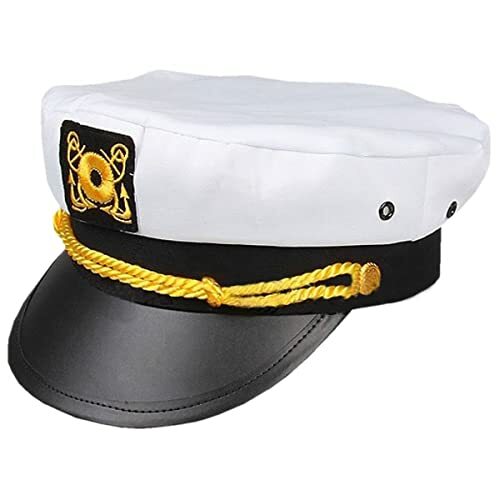 It features the design of the white embroidered yacht captain hat with a plastic black bill and a classic gold rope. This hat is available in 1 size that can fit head’s circumference of up to 22 inches. The hat is well made with an attention to detail. The gold life-ring emblem and rope details are created nicely with firm and sturdy stitching lines. They are thick with no loose threads to add extra style to the hat. The gold life-ring patch is sewn right in the middle front of the crown in a firm and tight manner. This patch will not become loose no matter how many times you wear this hat. The material of this hat is of the premium quality as well. The polyester crown is lightweight and comfortable to wear. It is also quite breathable and well ventilated. Not to mention that it is more water resistant than captain hats which are made from cotton. Hence, this hat is a more suitable choice if you do intend to wear the hat near the water. One thing that you might not like about this hat is that it runs a little bit smaller than other captain hats that you can find on the market. Also, the hat is available in size featuring the fitted fit. There is no adjuster on the back of the hat for you to adjust the hat for a better fit. A captain hat is the perfect dress up hat for men, women, and kids. 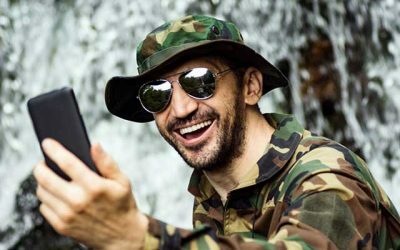 If you are looking for a Halloween costume for a military officer, a cop or a war hero, the list above can provide you with some of the best options that you can have on the market. 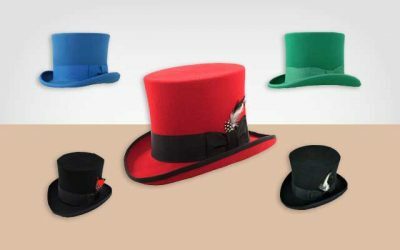 In addition, some captain hats with high quality materials and solid colors can be worn for any dress up occasion as well. You need to think about the occasion when you are wearing the hat, the design that you want, along with how much you are going to pay for a captain hat. 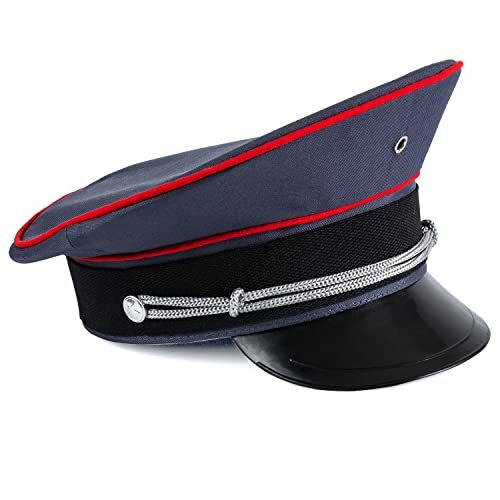 As you can see, captain hats are varied in colors, design, and materials, which would take you a lot of time in the search for the perfect one. 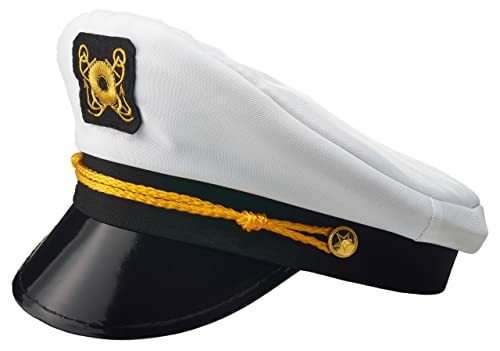 I hope with the list of the best captain hats on the market above, you can quickly find the hat that meets all of your needs and requirements.